I recently had dinner at El Mono, a newish Peruvian restaurant, in El Cerrito. I loved everything they served - from the roasted corn appetizer, canchita, to the purple corn drink, chicha morada. 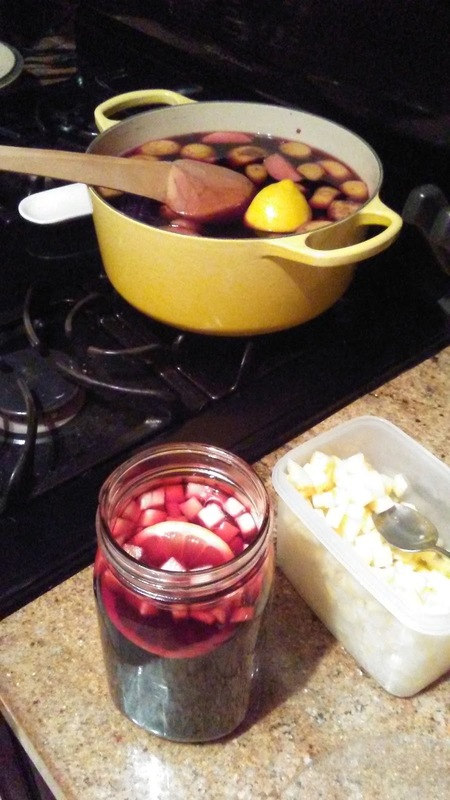 Ever since that night, I have been thinking about making a huge pot of chicha morada so that I can drink a lot of it whenever I like. This is something I have done for years. Whenever I like something a lot in a restaurant, I go home and make a huge amount of it from scratch. Over the years, I have made seafood gumbo, clam chowder, hot and sour soup, empanada, etc., etc. I am not rich so I can't afford to go back to the restaurant and order the same thing over and over; besides, I have a huge appetite. I already had the spices I needed in my pantry such as whole cloves and cinnamon. I have unlimited supply of fresh lemons and apples, so instead of using limes, I used lemons. All I really needed to buy were pinapple and purple corn. This morning I stopped by La Loma Market No. 1 while I was getting a complimentary alignment at Big O Tires across the street. The produce guy was not sure what I meant by "purple" corn but as soon as I mentioned Peruvian drink, he took me to the Peruvian isle and showed me all different types of corn! Wow! 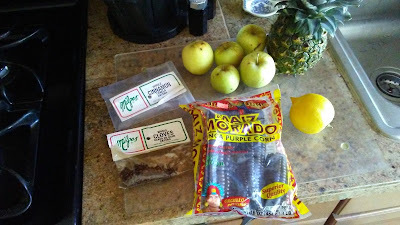 I was tempted to get some canchita as well, but I figured that I would make the drink first. 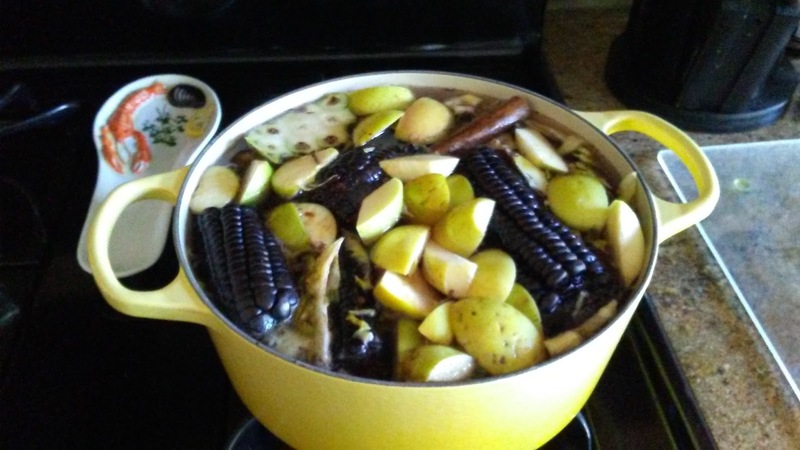 I found many youtube videos and recipes on how to make chicha morada with slight variations from each other. I made my own modification as well. Instead of using sugar, I added honey to my drink. I have included a link above on how to make it in Spanish. You really don't need to understand Spanish to follow the young girl in the video. If a child can make it, you can, too. I love this drink and sipping it with little chunks of pineapple in it! 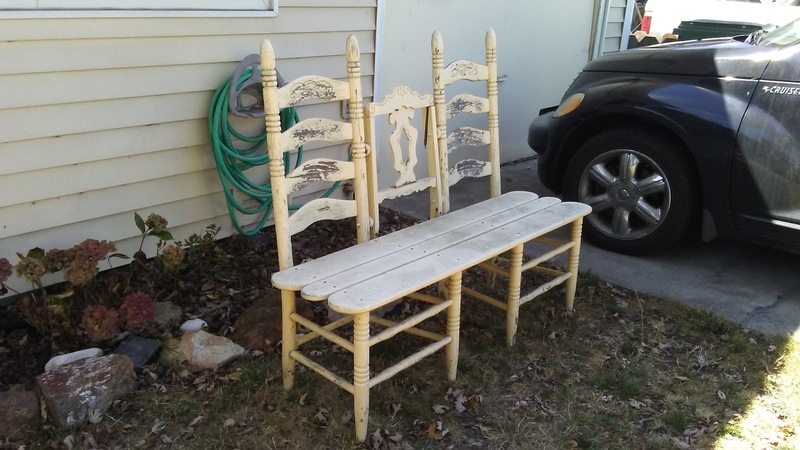 A few days ago, Katy from next door, told me that she saw a free bench on the curbside on her way home. She thought it might be something I would like. We hoped in my car, and she showed me where it was. It was just about 3 or 4 blocks from home. I thought it was a nice bench even though the paint is chipping away. We also found a broken part, which I could easily just glue together. We managed to partially get it in my P.T. Cruiser and carefully drove back home. I first glued the broken part with my Gorilla Glue. I thought about getting some Liquid Nails, but this broken part really didn't affect the functionality of the bench, so I decided not to spend extra money on it. I tightened the parts I glued together with a piece of red ribbon since I don't have clamps. It dried pretty quickly. 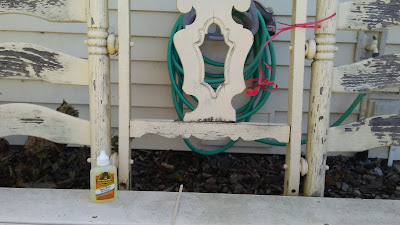 I sanded the entire bench with a sanding block then hosed it down to clean it. I let the bench dry overnight before painting it. Even though I liked how the yellow color of the bench totally matched my house, I decided to paint it in lavender. 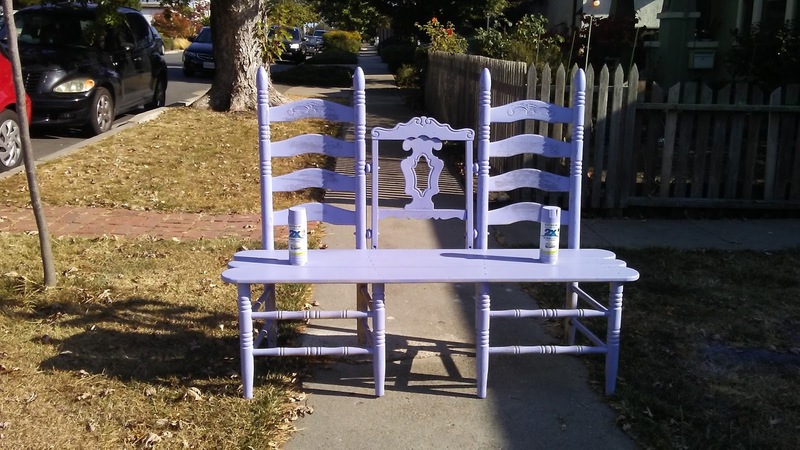 I picked up a couple cans of Rust-Oleum Painter's Tough 2X in Satin French Lilac from Home Depot. They are about $4 per can. I could have used a 3rd can to give it an extra layer, but the point here is to do it as cheap as possible using mostly found or free items. I spray painted the bench in the front yard. It was a windy day as usual in the Bay Area, so I had to stop frequently and seize the moments when the wind died down a little. I am pretty happy with the bench's new look. What do you think?